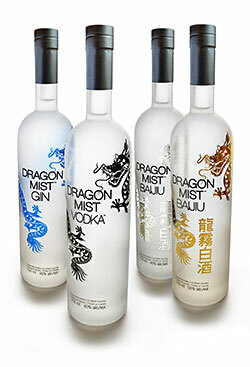 In addition to our flagship product — Dragon Mist Vodka — we are perfecting Dragon Mist Baijiu (40% and 56% alc./vol.) and Dragon Mist Gin. To celebrate the release of these new products, we have redesigned our Dragon Mist Vodka bottles and added the 3 new bottle designs to our product offering. More ways than ever to enjoy Dragon Mist spirits! Watch for them coming soon!